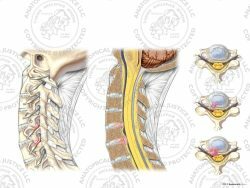 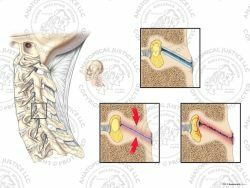 This exhibit features two radiological illustrations of the cervical spine with multiple intervertebral disc injuries. 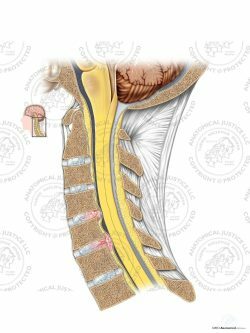 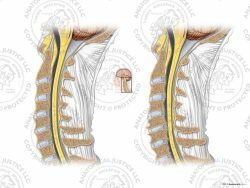 Sagittally, disc protrusions are seen from C3-7 impinging the spinal canal, with C5-6 contacting the ventral surface of the spinal cord. 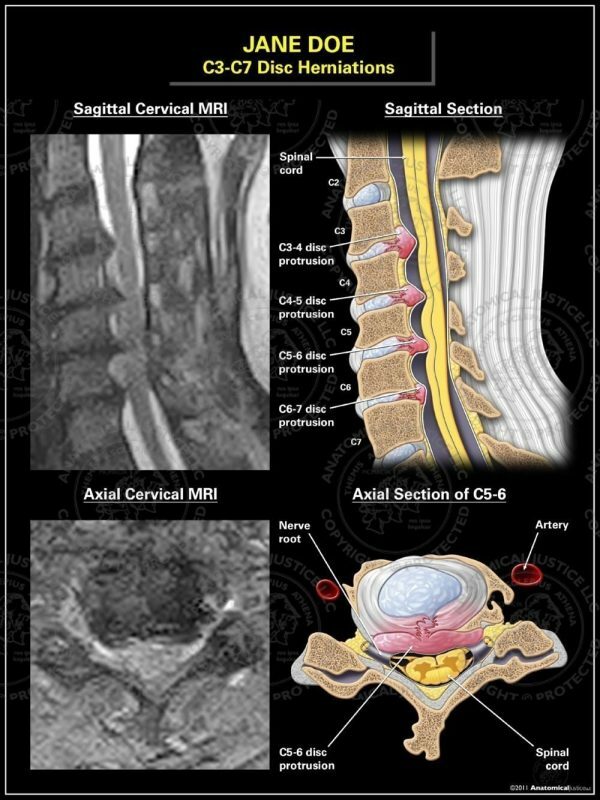 An axial section of C5-6 also depicts the disc protrusion’s proximity to the spinal cord, as well as its bilateral impingement of the neural foramina.